Chocolate may not make the world go ’round, but it sure makes it taste sweeter. 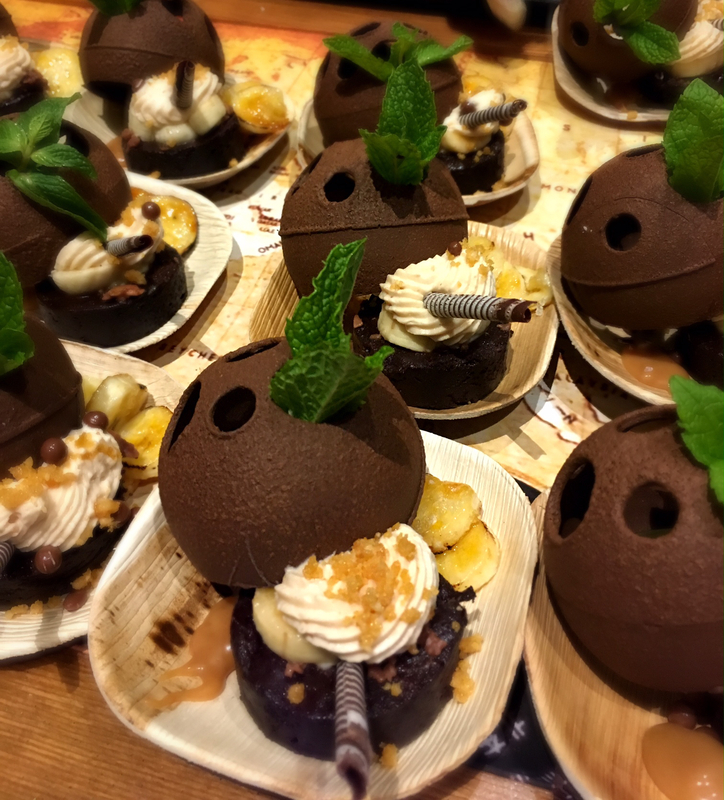 On Saturday, April 28, 2018, 675 chocolate connoisseurs gathered at the Hapuna Beach Prince Hotel to taste, savor and indulge in some of the best and most creative chocolate recipes on the island. 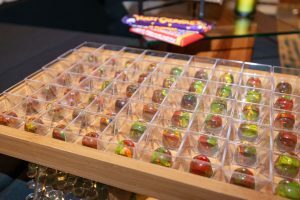 The 7th Annual Big Island Chocolate Festival brought together chefs from local resorts, as well as high school culinary students and chocolatiers, to share samples of their creations. This annual extravaganza featured food, wine, entertainment, chocolate body painting, chef competitions and a silent auction. 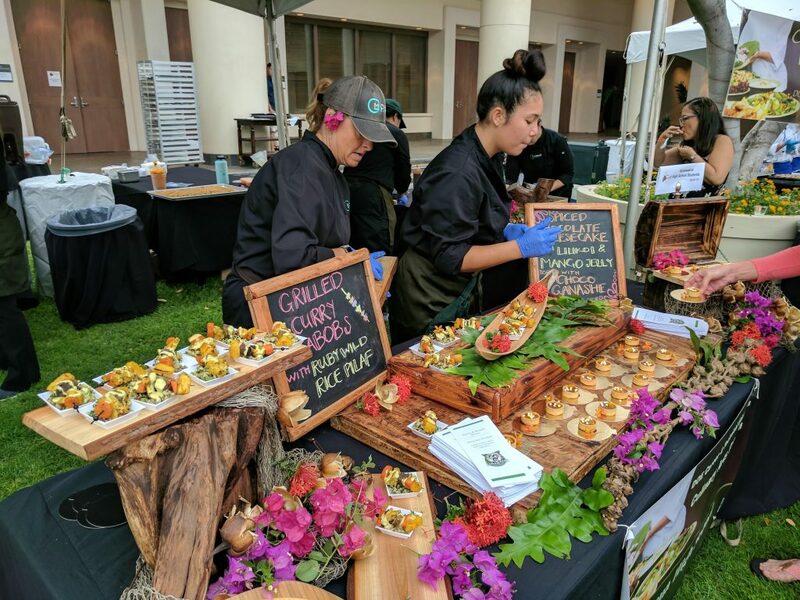 Chefs from Hawaiʻi Island restaurants brought their best and most unique chocolate dishes to compete in the culinary taste competition. 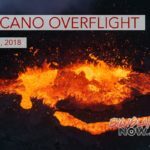 They represented resorts and restaurants such as Hilton Waikoloa Village, Four Seasons, Fairmont Orchid, Mauna Kea Beach Hotel, Cafe Pesto and Hapuna Beach Prince Hotel to name a few. In addition to the 33 restaurants and chocolatiers, culinary students from three of the local high schools also brought their A-game to the festival. The students delighted attendees with their unique chocolate-inspired creations. 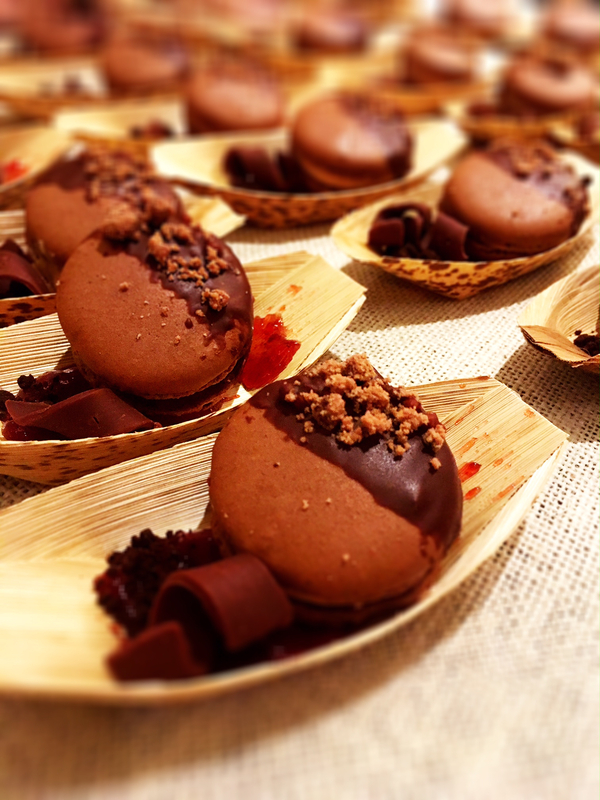 The event theme, “Chocolate Around the World,” was infused throughout the evening. Fairmont Orchid chefs took home the honor of “Best Decorated Booth” with their giant revolving chocolate globe. Also judged were the dishes by chefs, chocolatiers and culinary students. The delicious goodies were critiqued on taste, texture, appearance and creativity by a team of celebrity judges. 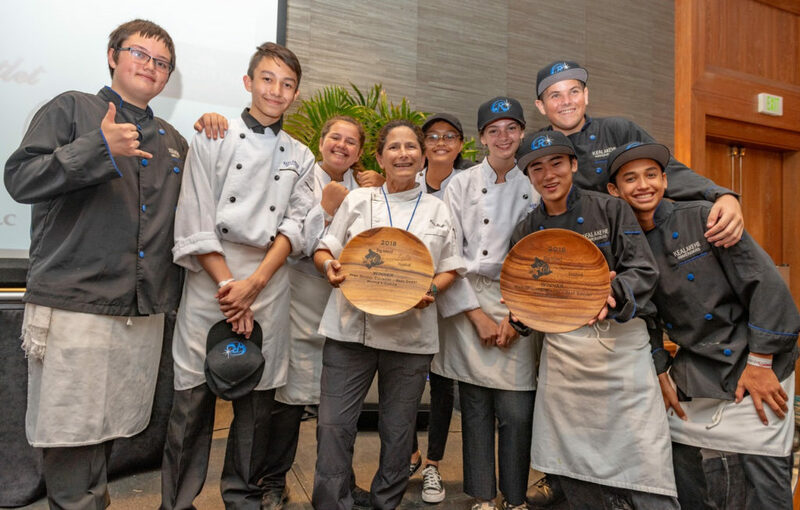 In addition, three Hawai‘i Island high school culinary teams vied for People’s Choice Awards Saturday night. Kealakehe High School culinarians took top honors for both savory and sweet offerings. 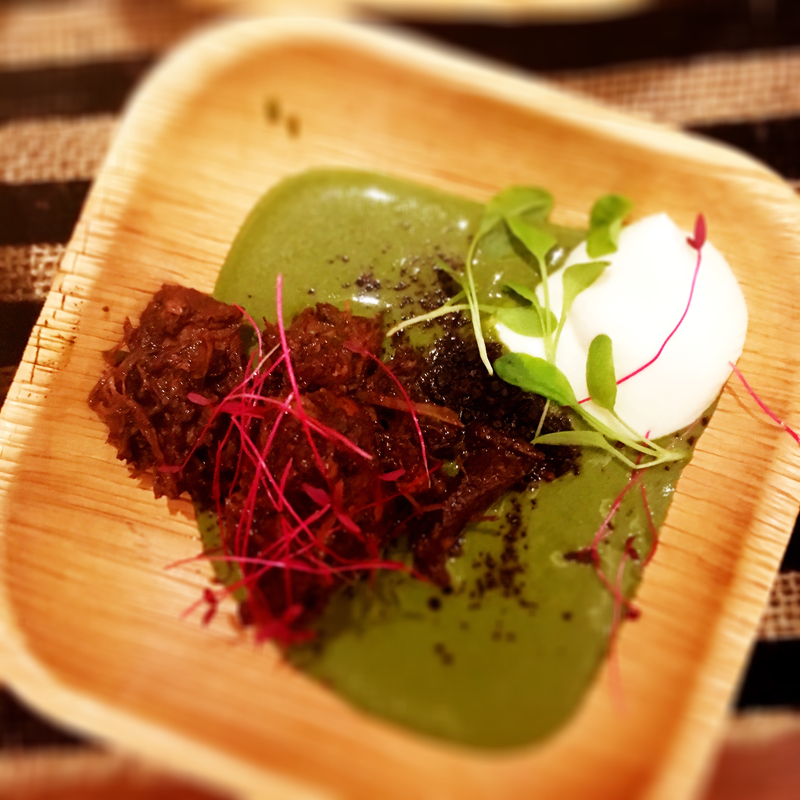 With a ballroom full of chocolaty sweets, the savory chocolate dishes were a huge hit among guests. 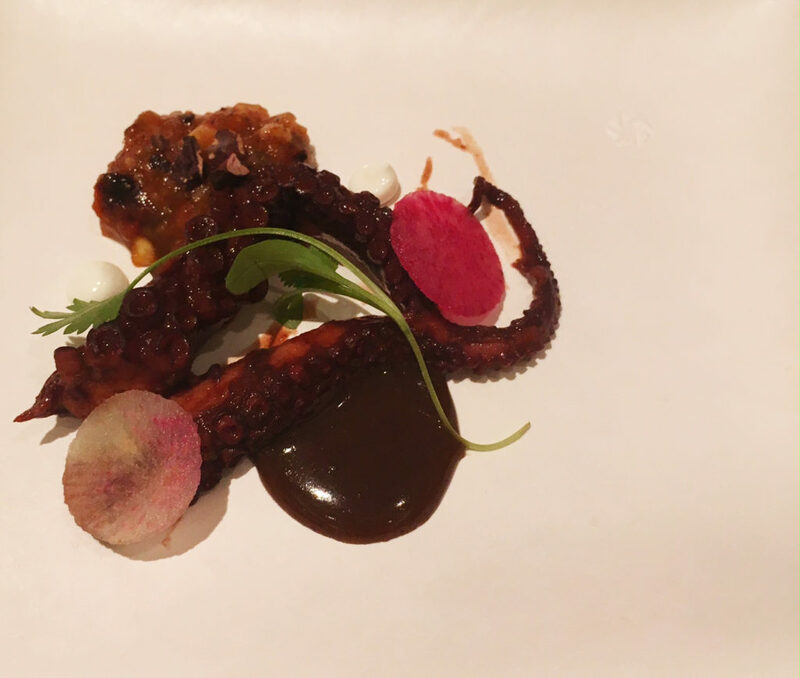 Examples of some of the savory dishes included Coco Dusted Charred Octopus, and Cacao Bao—a coco nib crusted, wagyu beef, chocolate foie gras with savoy white ganache. The primary goal of all the delicious indulging was to raise money for charity, as well as support the mission of the Kona Cacao Association (KCA). The Big Island Chocolate Festival was created by the KCA. 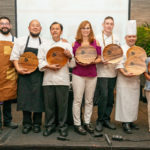 Its mission is to promote the cacao industry on Hawaiʻi Island by presenting the festival as an educational and outreach opportunity for local cacao farmers, the hospitality industry and chocolate aficionados. Hawai‘i is the only U.S. state with a climate suitable for growing cacao—the same is true for coffee and vanilla. While the chocolate industry is still new to Hawaiʻi, it’s speculated to become a popular bean-to-bar industry in the Aloha State’s future. 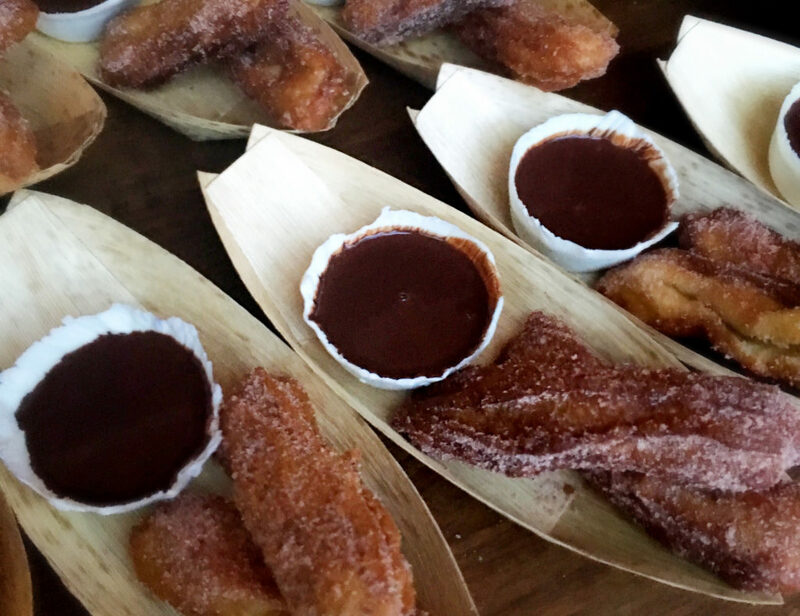 In the meantime, chocoholics will continue to look forward to one of Hawaiʻi Island’s favorite annual foodie events. 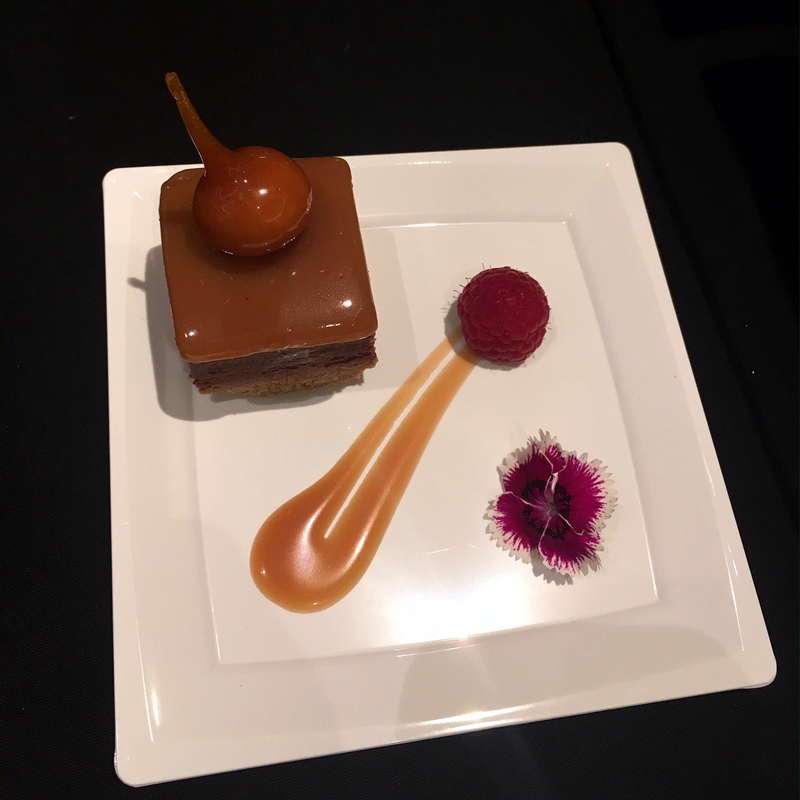 Monies raised from the gala’s silent auction benefit the following charitable organizations—University of Hawai‘i Maui College Culinary Arts Program, Kona Dance & Performing Arts, HIP Agriculture, Kona Pacific Charter School and Waimea Country School. For more information about the Kona Cacao Association, visit konacacoassociation.com.